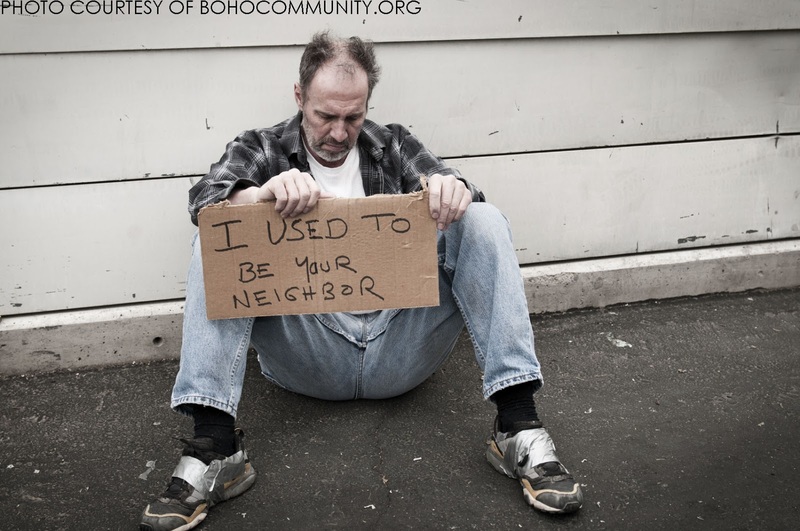 For a long time now, society has regarded homeless people as the makers of their own destiny. And dirty, criminalised, nasty ones at that. 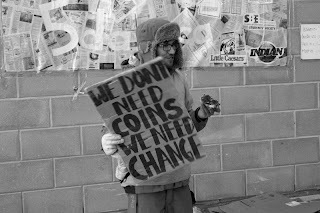 However, recently, I've detected a change in attitude towards the homeless and it's been so exciting and relieving to see that I just had to do my bit and spread the word. I've seen more videos, articles and campaigns challenging the stigma surrounding the homeless in the last few months than I have in the rest of my life, all of them further diminishing my ignorance on the topic and furthering my compassion and drive to help make a change. 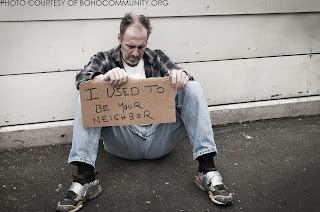 The truth is, as much as we all like to think that homeless people are mad-raving drug users and violent alcoholics, the majority are just ordinary people who came under impossible circumstances and unlike you or me, were not lucky enough to have a supporting or understanding group of friends and family members to help them through it. 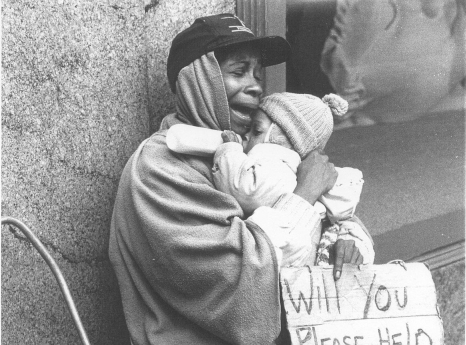 The most common circumstances that put people on the streets are sexual, physical and emotional abuse at home, a lack of acceptance for someones religion or sexual orientation and the loss of an income due to anything ranging from illness to the failings in the economy. Anyone of us could come under these sufferings through no real fault of our own, and yet we are confident we would have someone there to help us out of our situation. 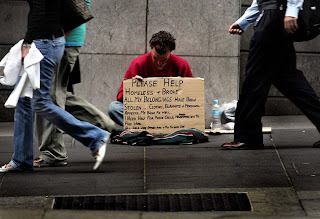 Whilst recently watching a YouTube video of a homeless man receiving a "make over" from a generous, good-hearted stranger, I heard him describe getting some new clothes, a proper meal, a haircut and two nights in a motel as a "dream". He also spoke of how collecting $8 in over five hours meant the world to him, because he can afford food with $8. This isn't a dirty criminal on the hunt for drugs, in fact this man appeared to me more down to earth, grateful and good natured than many of the well-off people I know. If you don't want to hand over money, where's the harm in buying someone a sandwich? I don't think drug dealers accept sandwiches as payment. Furthermore, homeless people's life expectancy is almost half of the national average. They often have no prospects or hope for the future. Anyone can become a drug addict, irrespective of wealth or upbringing. People with addictions need help and support to overcome their addictions. 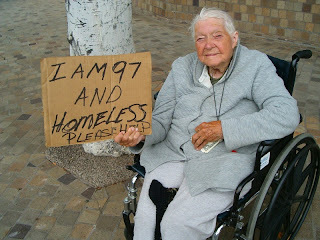 It is not your job to end a homeless persons addiction, but it is not a reason to refuse to do anything at all. Unlike celebrities and wealthy addicts, the homeless or those brought up in poverty do not have the means to get professional help or go to rehab. The recent #fitchthehomeless campaign also put homelessness on the front-line, with some even accusing it of being damaging to the homeless as the message behind the campaign was "so ambercrombie & Fitch only want attractive, 'cool' people wearing their clothes? Well we're going to give them to the opposite of 'cool' and 'attractive'" which, were personified in the form of the homeless. Whilst I completely understand this criticism, it is hard to honestly say "being homeless is cool and attractive"-if anything that would be a much more damaging attitude-and in my opinion, anything that helps the homeless is a good thing and although it must be analysed and monitored in order to protect society, shouldn't be belittled by controversialists. Gosh, this is truly a topic which should be more talked about! One day I'll buy many many sandwiches and just walk around the streets and give them to homeless people - I think I would consider that as one of the happiest days in my life. We need to help them somehow!